Passionate about supporting The Gerontological Society of America with our mission even after your lifetime? It's not only possible, it's easy to do with a beneficiary designation. Just name GSA as a beneficiary to receive assets such as retirement plans and life insurance policies after you're gone. You simply fill out a form that is entirely separate from your will—which makes this approach an easy way to give. 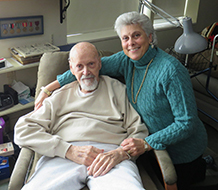 The Association for Higher Education in Gerontology (AGHE), the educational unit of The Gerontological Society of America (GSA), will soon receive a bequest from the estate of the late James "Jim" E. McKenney. Jim was born February 28, 1920, in Sanford, Maine, and was the son of William and Mary LaFlamme McKenney. At five years of age, he contracted polio, but had no lasting physical effects from the disease. He "rode the rails" across the U.S. and hitchhiked around many states, residing in California for several months repairing medical equipment. Jim enlisted in the U.S. Navy before the attack on Pearl Harbor. He saw anti-submarine action in the North Atlantic and participated in five major invasions in North Africa, Italy (Sicily, Salerno, Anzio), and southern France. After his discharge from the Navy in 1945, he joined the U.S. Merchant Marines. While serving as a merchant mariner, he was able to visit most countries that bordered the North and South Atlantic seas. Jim knew what he wanted and worked to attain it, as evidenced by the woman he married. One day while sitting outside with his brother, he spotted a young woman in the passenger seat of passing car. He told his brother he was going to marry that woman and didn't even know her name! It turned out her name was Ruth Pearson, and Jim married her in 1950. Although Jim's formal education culminated with a high school diploma, his engineering abilities were enviable. He designed and built the first super-insulated home in Maine in which he resided until his death, had all the latest technological advancements that he installed, made his own flour and baked spelt breads (delicious), and was an avid reader of engineering books, history novels, and the classics. Jim was a typical Mainer, uh yuh! And he first met Marilyn Gugliucci in 1992 at her Cardiac Rehabilitation Program at the University of New England College of Osteopathic Medicine (UNECOM), when the death of his wife "broke" his heart. Jim had no family nearby and became fast friends with Marilyn, a former AGHE president and GSA Health Sciences Section chair. Jim decided to include AGHE in his planned giving in 2008, during Marilyn's term as president. She was his health care power of attorney and Jim died as he wished — comfortably in his super-insulated home. He also chose to donate his body to the UNECOM Anatomy Department. Ever the educator and learner, Jim is now posthumously part of the AGHE family. 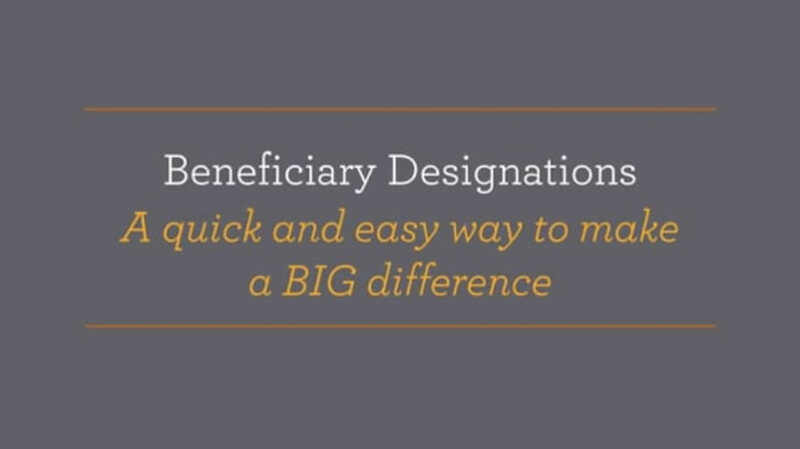 Contact us to obtain further information on beneficiary designations and how they can help support GSA with our mission. If you name GSA in your plans, please use our legal name and federal tax ID.